The back story. A Navy man came home to his family in Mount Hermon, Louisiana after World War II. This is what he carried his belongings in. 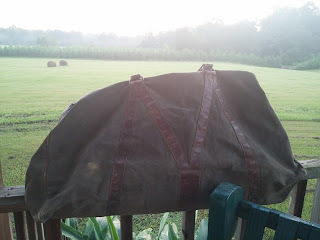 A huge bag with great canvas even to this day. The zipper doesn't work any longer. There are aging spots and dirty stains. The leather is worn on the two handles and the design on the front and back. I have made no attempt to launder - sold as is. Understand that this bag is older and that materials can absorb odors over the years. I don't notice that any particular odor stands out, but if you have a sensitive sense of smell - an older piece may not be for you. Measures 25 x 14 inches. You could tell a lot about this couple. He had his own bedroom later in life. She had hers. They were people who enjoyed life with tanning beds and exercise machines. The most beautiful things were in the dining room. 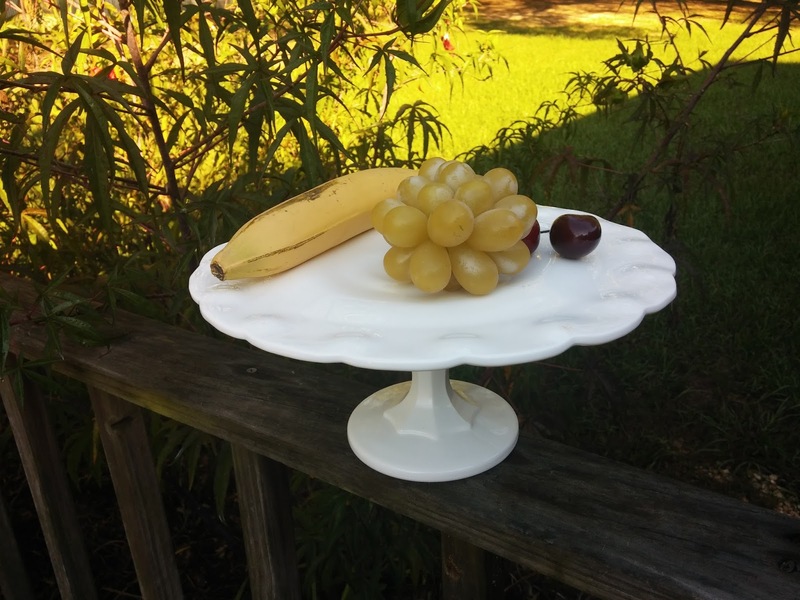 She had collected the most extensive 1936-1951 Vintage Fiesta Fiestaware in original Ivory and pastel colors. The lot was marked at $800 and they would take $400. I wanted that set. I have always loved Fiestaware ever since my grandmother and great grandmother collected their little pieces in turquoise. 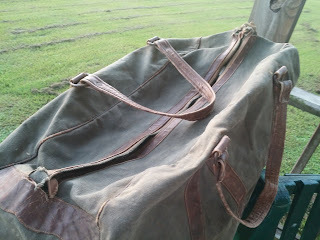 Instead I settled on a World War II piece of luggage which will be listed in time. 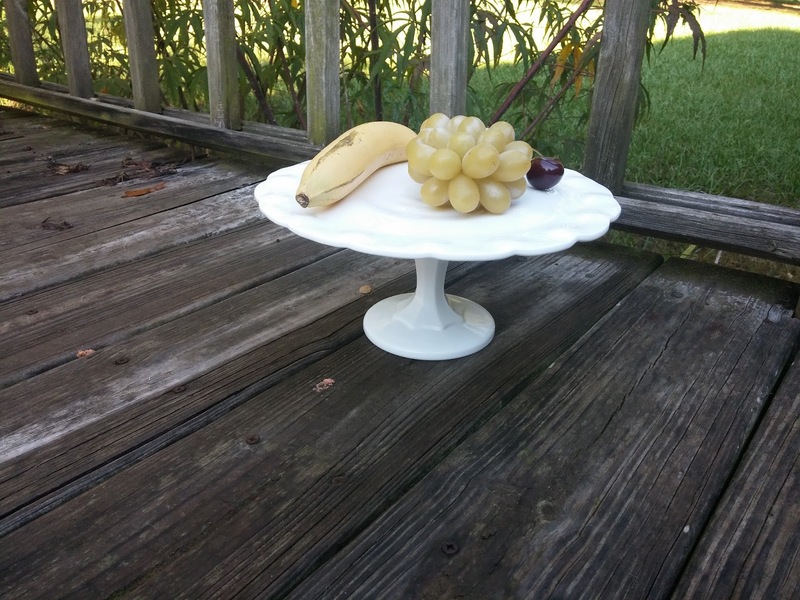 I opted for a milk glass cake plate. I thought Christmas socks were a good buy including 7 pair for $4.50 which I will start wearing in November.